The pride and joy of Montfort is our menu. We’re dedicated to creating healthy and fresh food with uniquecombinations of traditional Mediterranean flavours for the whole family. Enjoyour tantalizing appetizers, delicately grilled meats, fresh salads, anddelicious desserts. 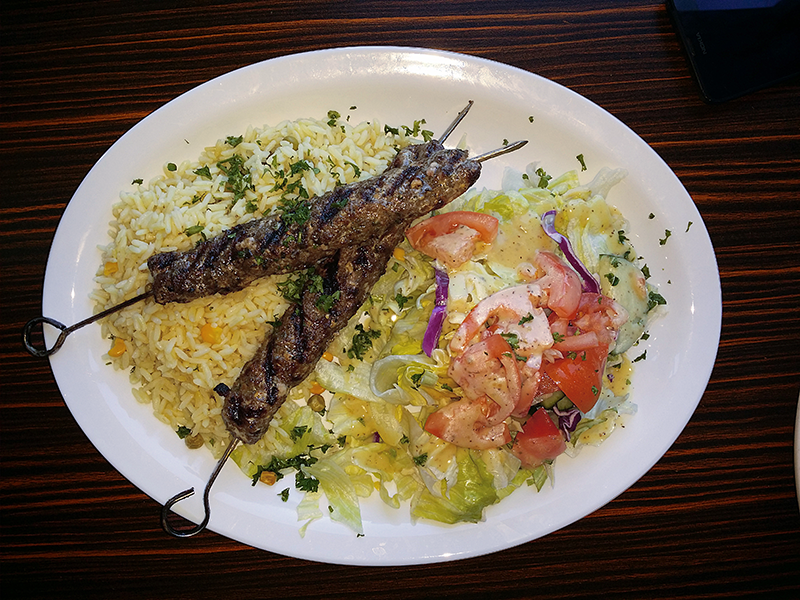 We only use fresh, healthy ingredients in ourdishes, which is why our grilled chicken, kabobs, shawarma, pitas, souvlaki andhummus are favourites across Burlington and Hamilton. Looking for a fresh and healthy lunch on the go? Our fast lunch menu allows you to continue with your busy day while taking a few moments to refuel —sit down for a healthy meal instead of hitting the fast food drive through. Our chefs prepare all ourfresh lunch specials daily. 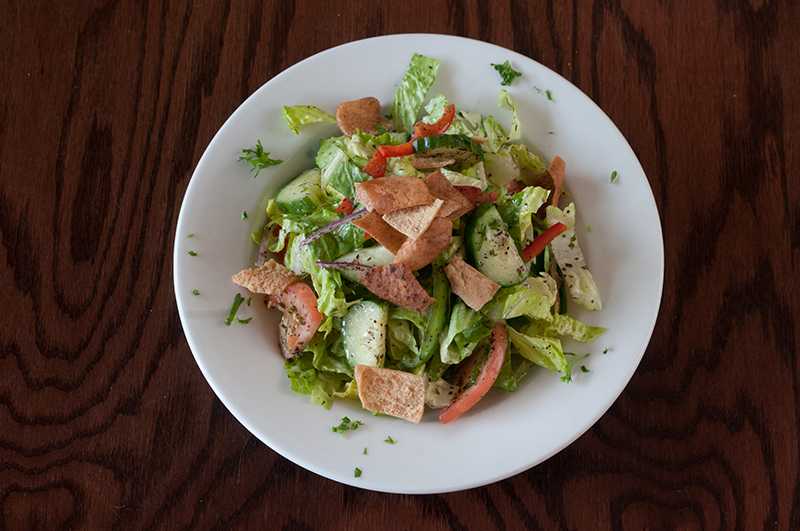 Ask your server for the lunch special or enjoy oneof our delicious soups or salads for a lighter option. With a huge array of appetizers to choose from, our appetizer menu is a favourite for families and kids who want to explore new tastes. 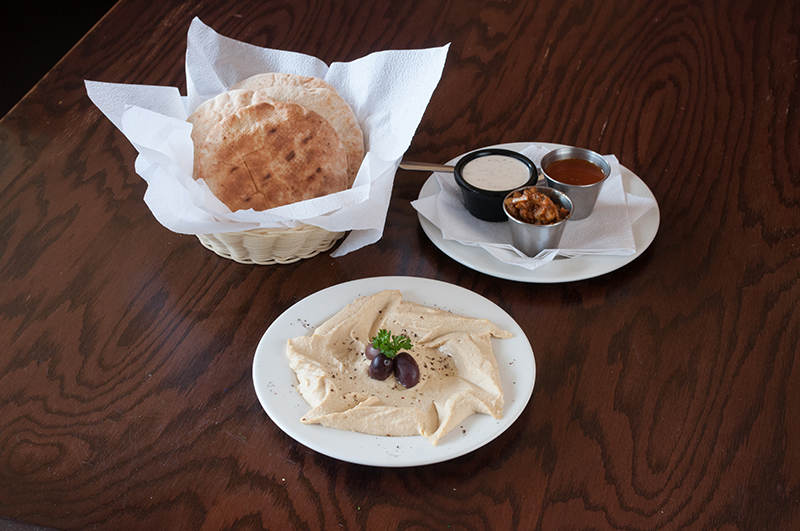 Our traditional dips like hummus, baba ganoush, and tzatziki are healthy and freshly made every day. 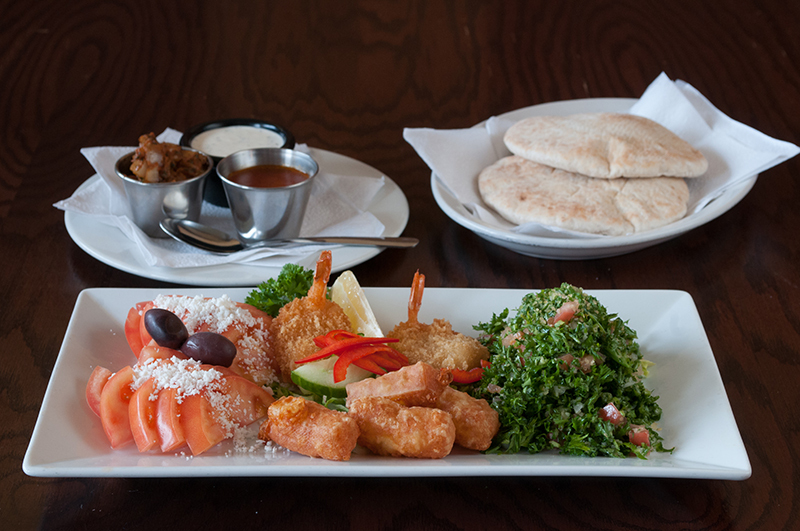 Check out our appetizer menu to explore all of your options. Whether you’re in a hurry or are looking for ahealthier, lighter option you’ll love our soups and salads. Our lentil soup isa local favourite, but our chefs love to keep things fresh with a soup of theday. We’re famous for our traditional, Mediterranean grill and we’re proud to accent our succulent meats with freshly baked pita bread. Our popular pitas are available with a variety of freshly grilled meats and ingredients to choose from so you can enjoy your favourites or explore new tastes. 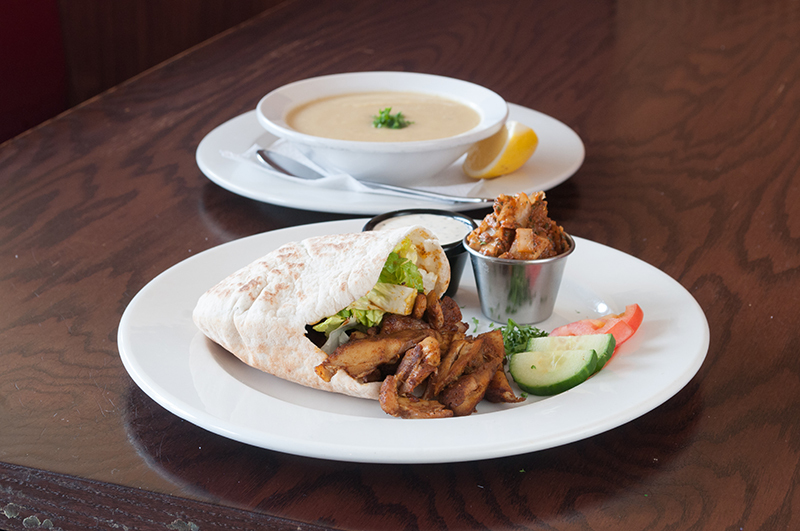 In fact, we’re known for making the best shawarma in Burlington and Hamilton. Just can’t decide with so many fantastic choices? The good news is you don’t have to! 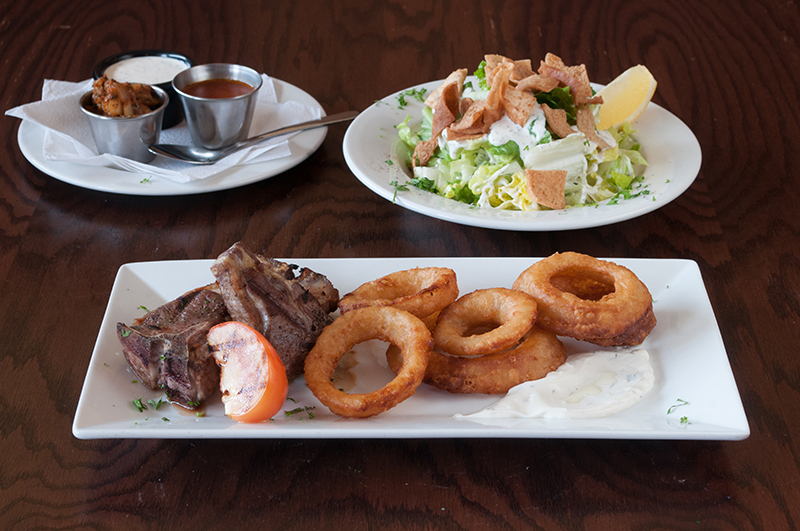 Our mixed grill is the perfect wayto explore everything on our menu. Share with your friends and have fun exploring all of our delicious meats. Whether you want to treat yourself to a premium steak, delicately flavoured leg of lamb, or are food curious and want to explore the best of Egyptian, Lebanon and Israeli cuisine, we have something special for everyone. While we love to use the grill, we appreciatethe importance of vegetarian cuisine! 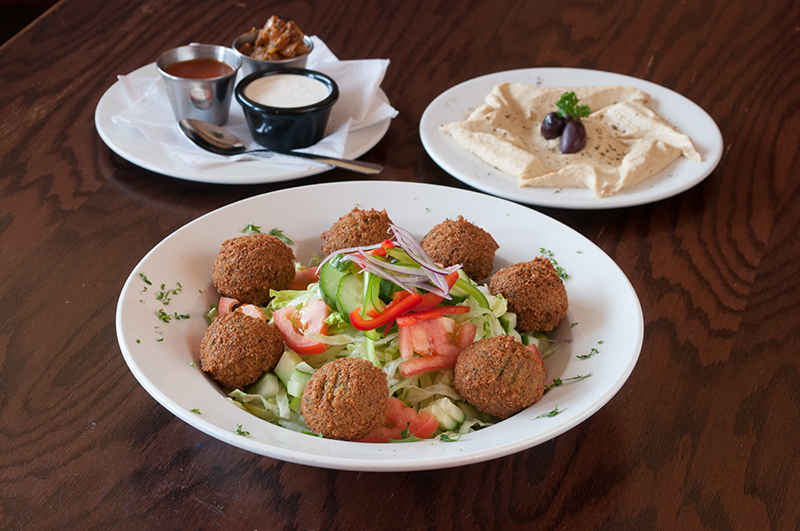 Our fresh and healthy vegetarian options are well known to many vegetarian lovers. We are pleased to serve you at the following two locations but with our modified express menu for your convenience.